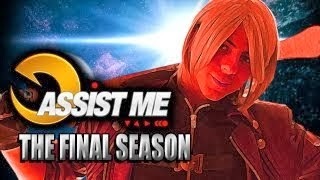 The final season in Maximilian's "ASSIST ME" series is underway. Catch the first part featuring Dante inside. Maximilian's "ASSIST ME" series is coming to a close. The first part of the final season has been posted. This time the guest welcomed in the Ultimate Marvel vs. Capcom 3 (UMvC3) web show is Dante. Max is once again joined by Doctor Doom to give some tips on how to use Dante in UMvC3. The beginning of the clip also relives some moments in the history of "ASSIST ME."